Treat yourself to a new ride this spring! 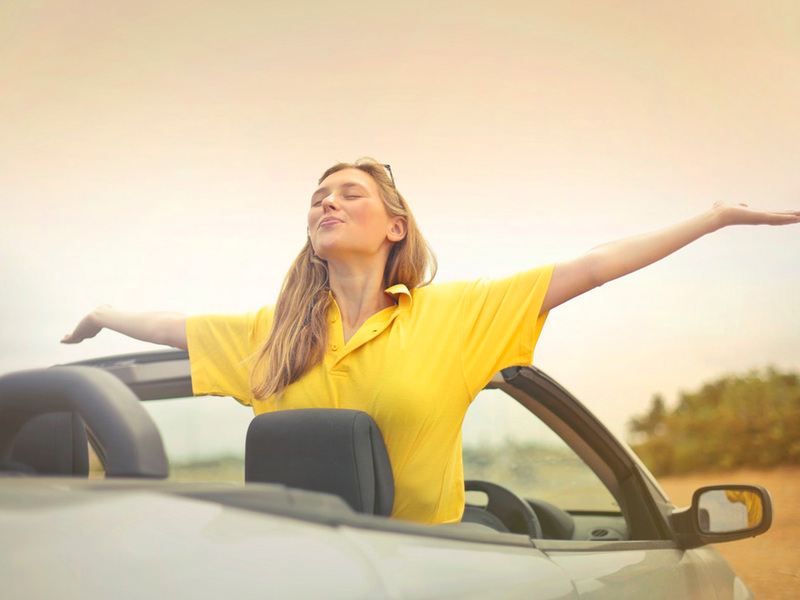 For the months of March and April, all auto loans are 1.25% APR off at AFCU. New car rates are as low as 1.49% APR and used cars are as low as 1.99% APR, and we’ll even do our best to match or beat other dealers and lenders! Let us help get you into the car of your dreams. Become a member (and owner) by completing a brief membership form at the Amherst FCU office, 6470 Main Street, Suite 5, Amherst NY 14221. All you need is your photo ID & $6.00! Be sure to bring your most recent pay stubs to accompany your loan application. Amherst FCU proudly participates in the Thank a Vet discount program through the Erie County Clerk’s Office, offering additional discounts off of the applicant’s qualifying rate for any personal loan or new/used auto loan held elsewhere. The program-issued photo I.D. card must be presented. For more information please visit the Thank a Vet program website. On any given day, a tweet, a facebook post, and an email will go out including the ad as well as every thing you need to know about how and when to redeem. *Note: Pop-Up Deals will only be available online and will only be advertised in the ways mentioned above. These are exclusive, limited time offers for our online community. Amherst Federal Credit Union members are eligible for this credit union exclusive Sprint offer. Get $100 cash reward with EVERY NEW LINE when you switch to Sprint, and $50 for each existing line. Plus, get a $50 cash loyalty reward every year for every line. Save up to $15 on TurboTax, the smarter way to get your taxes done right. File your taxes the smarter way and save! TurboTax® translates taxes into simple questions about your life, so you don’t need tax knowledge – or an appointment – to get your taxes done right. You’re never alone. Connect with an expert live, on-screen to get answers when you need them with TurboTax SmartLook™. Amherst Federal Credit Union members can get up to $15 off TurboTax federal products. Get started today and save! State filing charges apply. Limited time offer for TurboTax 2016. Terms, conditions, features, availability, pricing, fees, service and support options subject to change without notice. Intuit, TurboTax and TurboTax Online, among others, are registered trademarks and/or service marks of Intuit Inc. in the United States and other countries. Other parties’ trademarks or service marks are the property of their respective owners. Visit TurboTax for product guarantees and other important information. Our site contains hyperlinks to other web sites operated by third parties. These links will take you away from our site. Please note that Amherst Federal Employees Credit Union does not guarantee the accuracy or completeness of any information presented on these sites nor does Amherst Federal Employees Credit Union represent either the third party or our member if the two enter into a transaction. The third party's privacy and security policies may differ from those practiced by the credit union. We encourage our members to know when they leave our site and to read the privacy statements of each and every web site that collects personally identifiable information. Our Privacy Statement applies solely to information collected by Amherst Federal Employees Credit Union's Web site.